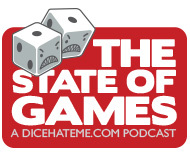 First, I’ve officially opened the Dice Hate Me store! Inside you will find the first of many designs to come, as my archivists have uncovered a rare advertisement from an obscure purveyor of fine tonics and elixirs. 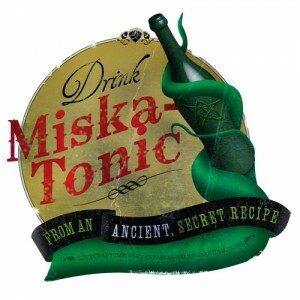 Yes, it’s an old ad for Miska-Tonic! It’s necrilicious. Check it out here and select your favorite – a t-shirt or tote. Buy two, they’re small! Second, in honor of that rare eldritch find, I have prepared a review of The Stars are Right, by Steve Jackson Games. This card/tile-pushing puzzle game is challenging, a lot of fun, and guaranteed to sap your sanity! Read all about it. - Reviews of DiXit, SmallWorld, Call of Cthulhu Living Card Game, and more! - A Flash-based review and overview of Arkham Horror, complete with expansions. It will be a cyclopean effort.